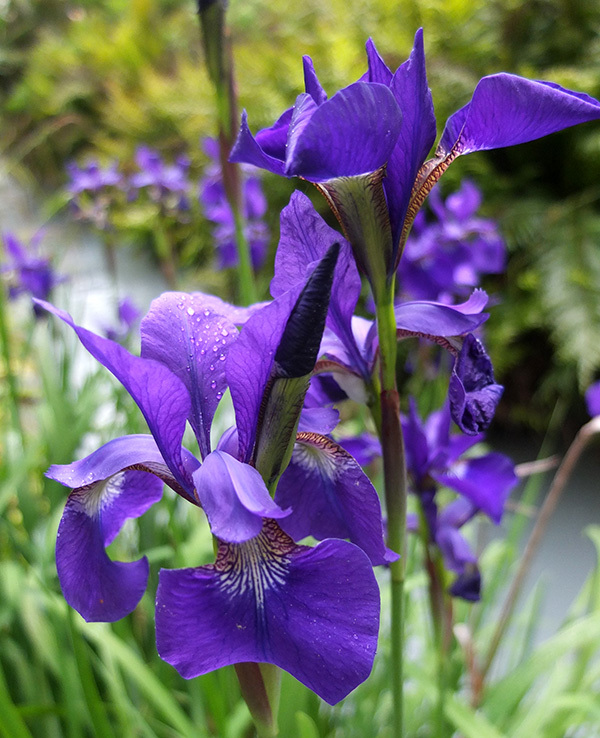 The rich blue flowers from these Japanese Irises by the water can finally be seen and properly enjoyed. My rational clearing of overgrown Phormium Tenaxes (flaxes) from the edge of the water race has born fruit - or in this case, flower. Aren't they a beautiful colour? I love blue. Why didn't I do this clean-up years ago! Just occasionally in past years I've noticed a few flashes of blue, caught up in the stiff flax spikes. Then this year, in late spring - wow! What a beautiful sight! The irises have been flowering now for over three weeks. I see them every day as I walk past to feed the hens. Wonderful blooms! Gorgeous colour!